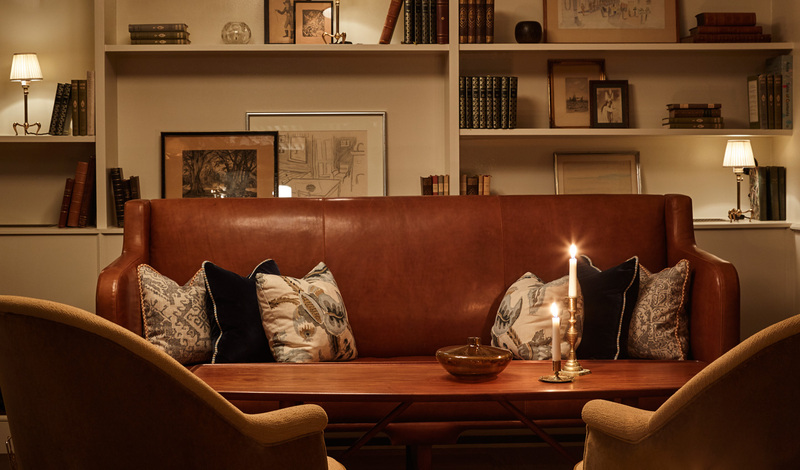 Doing what the Danes do best, Hotel Sanders is a testament to the elegance of simplicity. A place where you can kick off your shoes and make yourself at home, the vibe is casual, the service personable and the location second to none. The luxury of Hotel Sanders lies in the careful balance between a laid-back approach and a keen eye for detail. Upstairs, 52 rooms draped in crushed velvets, antique pieces and swishes of copper await. Beyond that lies only the rooftop conservatory garden, offering a fashionable spot for views over the tiled rooftops of Copenhagen for those in the know. 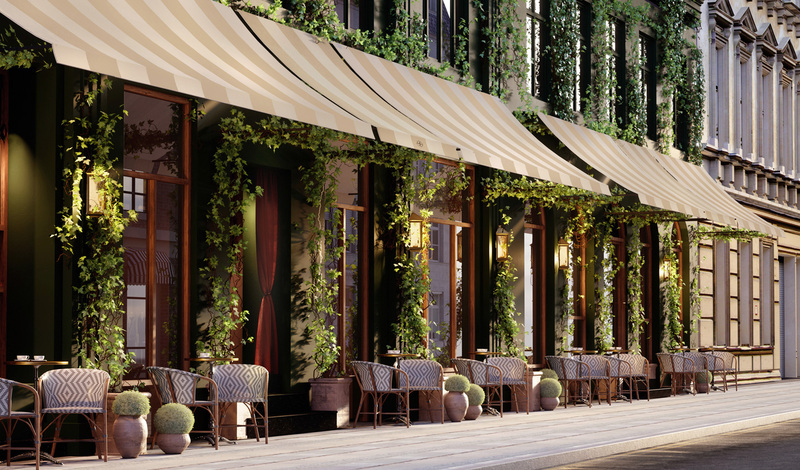 Bringing a contemporary approach to luxury in the heart of Copenhagen’s historical district, Hotel Sanders offers a glimpse of the past from the chic setting of modern day. Add to that setting such an enviable address and this becomes an altogether irresistible getaway. The gilded TATA bar opens up onto the Royal Theatre across the street, photogenic Nyhavn is just a quick stroll around the corner and the airport is just a twenty-minute drive away. Whether you’re looking for a cosy bolthole in which to rest your head after a day exploring or a grand space perfect for entertaining, Hotel Sanders’s 52 rooms run the whole gamut. Taking inspiration from the glamour and luxury of the golden age of rail travel, the coupé rooms are made for the compact traveller. Whilst for those looking for something a tad roomier, Bedrooms, Suites and Apartments offer spaces to entertain and escape in equal measure. Honouring a love of simplicity, each room is decorated in a neutral colour scheme while furnishings are handpicked to reflect the feel and personality of each room and show off its best features. Dining at Hotel Sanders is like dining at a friend’s house – a friend who is an excellent cook perhaps, but a friend nonetheless. Spend time chatting with the chef as he joins you in the convivial Sanders Kitchen Restaurant, talking you through a weekly changing menu focusing on fresh, seasonal ingredients. For dessert, why not move through to the terrace and curl up fireside or head up to the conservatory for a meal backlit by starry night skies? Come morning, simply grab and go with the team packing you up a breakfast-to-go as you hop aboard one of their bikes to head out and explore this charming city.